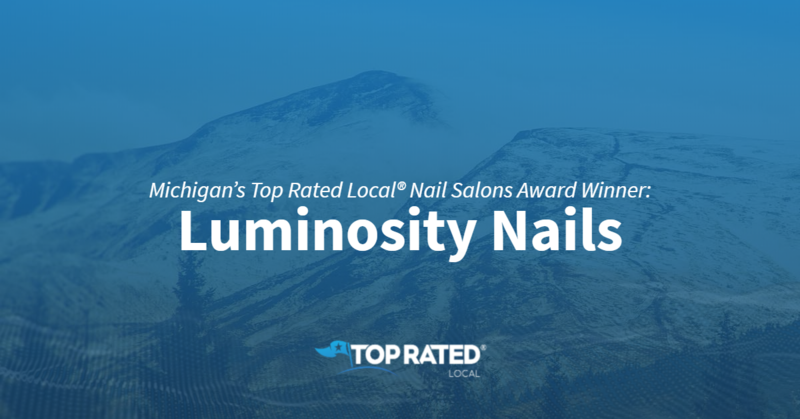 Top Rated Local® is pleased to announce that Luminosity Nails is a 2019 award winner for nail salons in Michigan! If you’re looking for a great manicure or pedicure in Lansing, look no further than Luminosity Nails. Luminosity Nails has received more than 100 reviews on three verified sites with an average rating of 4.62 stars, earning them a fabulous Rating Score™ of 92.21 and a 2019 Top Rated Local award for ranking among the top 10 nail salons in Michigan! “Very clean, quick and very nice people. It was so nice to be able to understand what they were saying so we could actually have a good conversation. I will return from now on.” – Summer D.
Judy, the owner of Luminosity Nails, generously gave us a few minutes of her time to tell us about her award-winning business and its impressive online reputation. The first thing we wanted to know was what sets Luminosity Nails apart from the many other nail salons in Michigan. 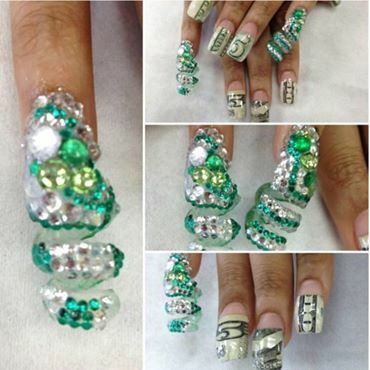 Judy told us that, at Luminosity Nails, they are known for their design, and that only two people work there. We also asked Judy how they make the world a better place at Luminosity Nails, to which she said that they try to help their community by donating to GoFundMe and charities. Judy credits Luminosity Nails’ strong online reputation to their commitment to always treating clients like friends and family and to always doing a good job. Congratulations to the team at Luminosity Nails for being a 2019 Top Rated Local award winner, and thank you so much, Judy, for taking the time to speak with us! We highly recommend stopping by Luminosity Nails in Lansing for a manicure or pedicure.